Aptos has three elementary schools, one junior high school and one high school, all within the Pajaro Valley School District. 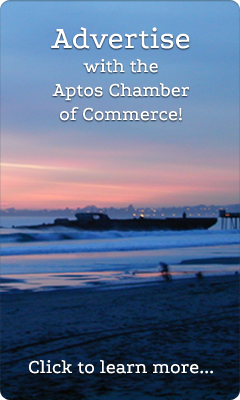 To find out more information about Aptos schools visit the PVUSD website www.pvusd.net or call (831) 728-6200. Located at 6500 Soquel Drive in Aptos with an expansive view of the Monterey Bay. Cabrillo is home to a newly constructed Horticulture Center, Cabrillo Stage Professional Theater and and the Central Coast Small Business Development Center. Cabrillo recently went through an 84 million dollar expansion project and looking forward to completion with a new library and resource center. Visit Cabrillo online at Cabrillo.edu or call (831) 479-6100. The University is located at 1156 High Street, Santa Cruz. The stunning campus sits above the city of Santa Cruz with panoramic views from Monterey to Davenport. Visit UCSC online at UCSC.edu or call (831) 459-0111. Serving students from pre-K through junior high school. Located at 6230 Soquel Drive, Aptos. Visit Santa Cruz Montessori School online at SCMS.org or call (831) 476-1646. Located in Santa Cruz at 2500 Soquel Avenue. Carden El Encanto has classes for K-7 and expanding to eight grade with the opening of a new junior high school in the fall of 2004. Visit Carden El Encanto online at CardenElEncanto.net or call (831) 475-7250. Located in Watsonville, this new Catholic High School opened in 2001. In January of 2003 begun construction on a new sports complex. Visit St. Francis online at StFrancisHigh.net or call (831) 724-5933.